The first thing I learned from this book is to focus on the positive habit I am learning instead of the negative habit I am trying to get rid of. This book encourages readers to have five digital habits for a more balanced life. I love how Arlene clearly explains each habit. And then reminds us to focus on the positive habit we can do. Secondly, I learned about the importance of looking up. Too often I am looking down at my phone and distracted. Or I am working on the computer and get annoyed if someone interrupts me. Arlene encourages us in the second habit to Always Put People First. Pause what you are doing and look up. Communicate that they are more important by looking them in the eyes. Phew! I have work to do in this area. The third thing I learned was that when I do go online, I need to do so with a purpose. Arlene encouraged us to ask ourselves “What am I here to do?” If I don’t have an answer to this question, I quickly get off my phone. I have already set limits on my internet and phone time as a result of this question. I also feel so much more purposeful in my time. 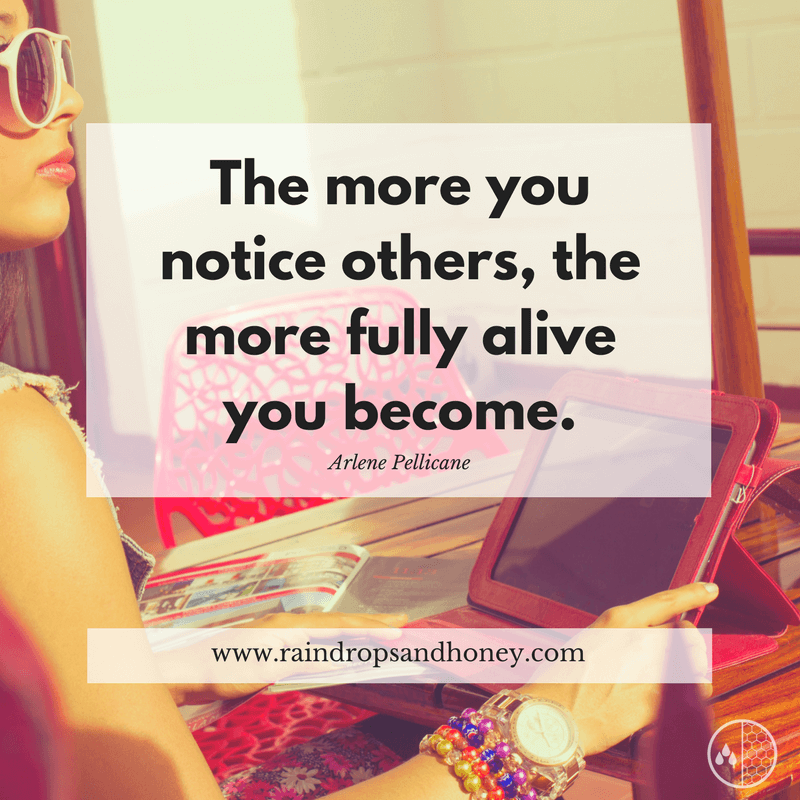 Arlene Pellicane’s insight in her book Calm, Cool, and Connected has been life changing me! I am looking forward to implementing all five of the digital habits for a more balanced life. In fact, I have already started to implement “Look up” and have noticed a big change in my attitude. Going online with a purpose will be a great challenge to help me not waste time. As I make changes, I will work hard at focusing on the positive habit I am embracing. 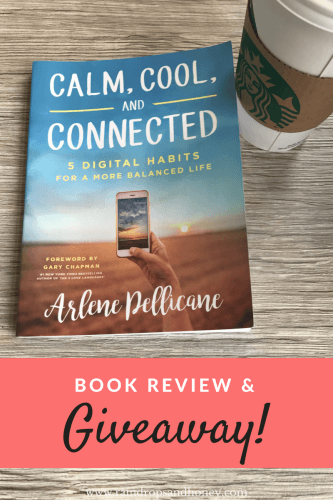 I think you would really like Calm, Cool and Connected: 5 Digital Habits for a More Balanced Life. In fact, I am doing a giveaway. Yay! For your chance to win a copy of Calm, Cool, and Connected, simply share why you’d love to read the book in the comments below. Please comment by Monday, September 18 at 11:59 pm. I will choose a winner on Tuesday, September 19. Thanks! I’d love an opportunity to read this book because just like a lot of people in today’s world, I look down and waste way too much time on my phone! I always love hearing Anastasia’s reviews and/or book recommendations, too! I need to find the digital balance and be better about looking up. I could use this book. I have a smart phone and in some ways it’s making me dummer… just so absorbed in my own little world. ← Does anyone notice me?